Just one year ago, Aric Almirola, driver of the No. 10 Smithfield Ford Mustang, made his debut with Stewart-Haas Racing (SHR) with an open mind and no expectations. A new crew chief, a new team and a blank canvas of opportunity. What he didn’t know was that he was about to embark on a record year – beginning with the 60th running of the Daytona 500. On the final restart during the closing laps of the 2018 season opener at Daytona, Almirola found himself at the front of the pack. When the green flag waved, the Tampa, Florida native took the lead and, when he looked in the rearview mirror, realized he was less than a lap away from becoming a Daytona 500 champion. After nearly becoming Daytona 500 champions, Almirola and the No. 10 Smithfield Ford team led by rookie crew chief Johnny Klausmeier continued their success, knocking down 17 top-10 finishes, four top-fives, led 181 laps on the year, and earned their first win Oct. 14 at Talladega (Ala.) Superspeedway to clinch a spot in the semifinal playoff round before finishing a career-best fifth in the championship. Almirola’s 181 laps led in the 2018 season were more than his previous six full-time Monster Energy NASCAR Cup Series seasons combined. Almirola is no stranger to victory lane at the 2.5-mile Daytona superspeedway. His first Cup Series win there came in July 2014. He led 14 laps and captured the win in the rain-shortened race. In the July 2016 NASCAR Xfinity Series race at Daytona, he led the most important lap – the final one – at the high-banked superspeedway, then added to his restrictor-plate resume with an Xfinity Series win at Talladega May 6, 2017. Almirola will have the opportunity to knock the high-bank-racing rust off early this season during Sunday’s 75-lap, non-points Clash. He is one of 20 drivers who are eligible for the race, which invites recent Daytona 500 pole and race winners, Clash winners, and previous playoff participants. Almirola’s best finish in his three previous Clash outings is eighth place. The Mustang driver enters the 2019 season the same way he did last year, partnered for the eight year with Smithfield, a brand of Smithfield Foods, which is based approximately five hours northeast of SHR headquarters in Smithfield, Virginia. Founded in 1936, Smithfield is a leading provider of high-quality pork products, with a vast product portfolio including smoked meats, hams, bacon, sausage, ribs, and a wide variety of fresh pork cuts. 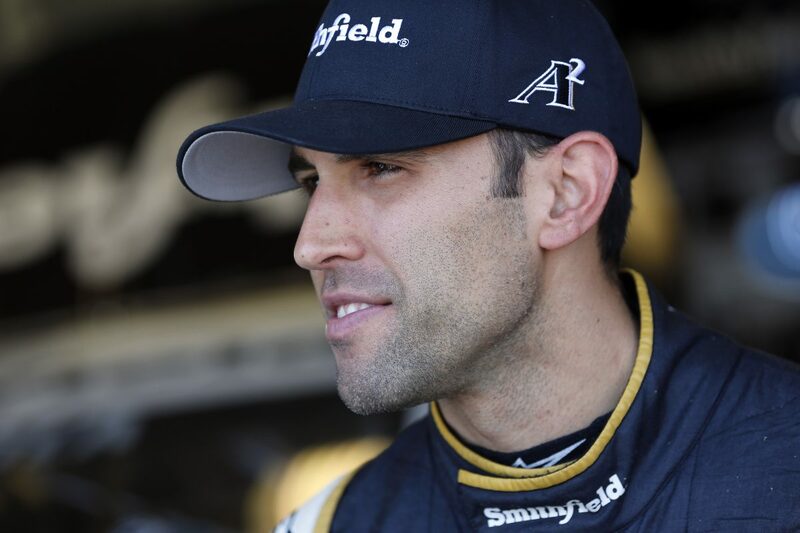 With no expectations other than being stronger week in and week out, Almirola and the Smithfield Ford team look to finish that final mile on a high note to turn their “Daytona 499” of 2018 into the 2019 Daytona 500 championship. How do you feel going into your second full-time season with Stewart-Haas Racing? How confident are you in Ford Performance and Stewart-Haas Racing’s ability to adapt to a new car and new aero package? Are you confident in your ability to adapt to a new car and new aero package? How have you been able to use the technology provided by Ford Performance to prepare you for the new season?